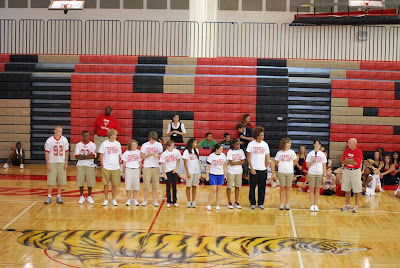 School started back up this week and last night Terrell High School hosted Meet the Tigers. The easiest way to describe it, is it's a pep rally for the town. The host was the new athletic director and head football coach Chris Gilbert. 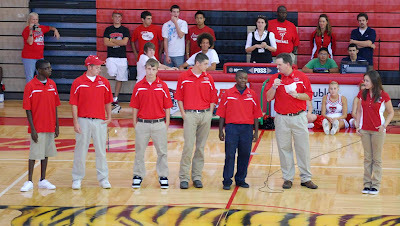 He let each coach for the fall sports introduce their sports participants. Here are just a few of the pictures. 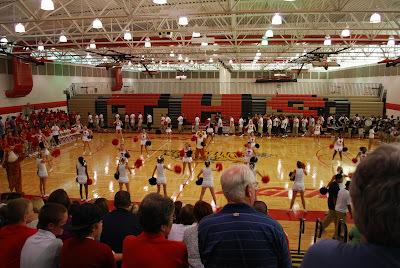 The entrance included the Varsity and JV cheerleaders, Tigerettes, band and the tiger mascot. The Terrell golf teams. The girls team is 1 person. 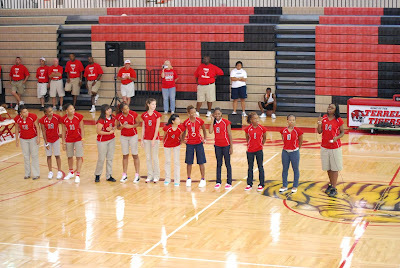 The tennis team was also introduced, but there are a ton of tennis players. More pictures to come, I feel like breaking the rules today.